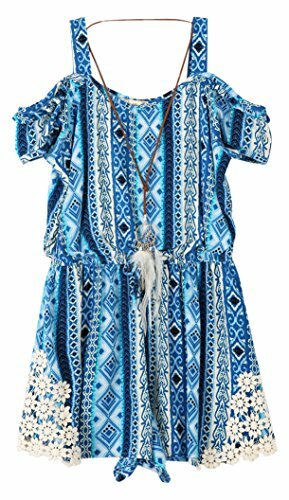 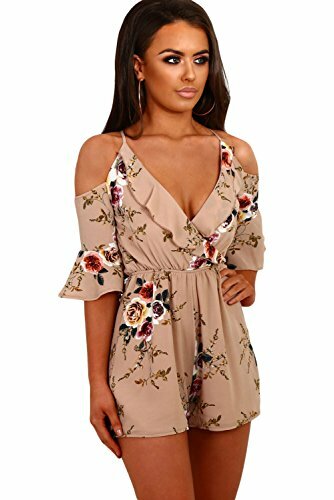 Cold shoulder romper with flair sleeves and pockets. 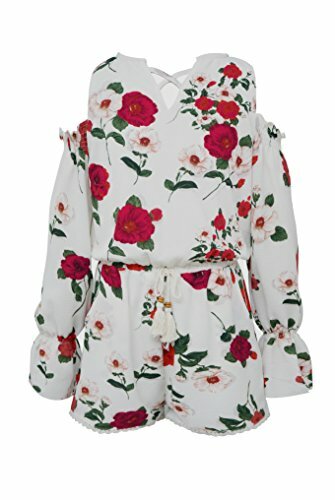 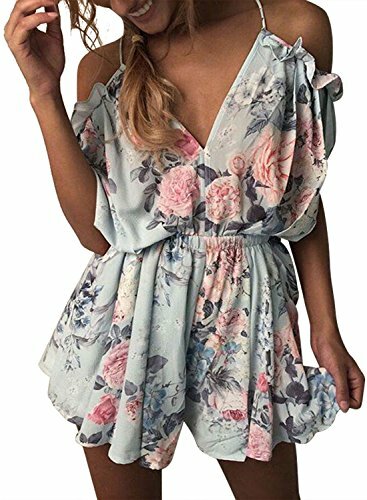 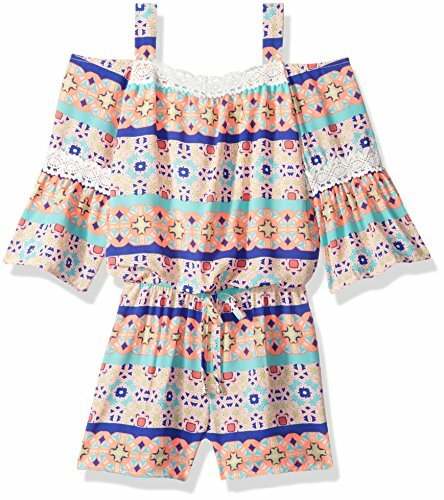 Women's Cute Summer Beach Cold Shouler Flower Print Short Jumpsuit RomperSize chart for reference S=US2~4: Bust- 92cm / 35.88 "---- Full Length- 74cm / 29.6 " M=US4~6: Bust- 96cm / 37.44 "---- Full Length- 75cm / 30 " L=US8~10: Bust- 102cm / 39.78 "---- Full Length- 76cm / 30.4 " XL=US12~14: Bust- 108cm / 42.12 "---- Full Length- 77cm / 30.8 "
Get summer ready in the flutter on by romper. 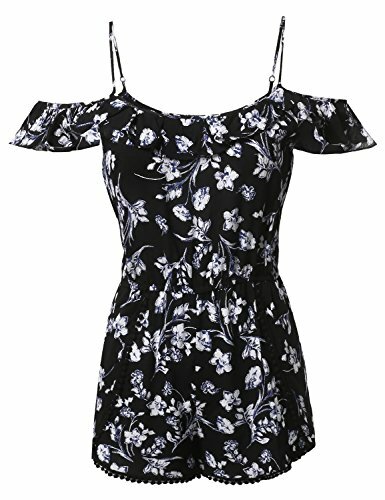 A tier of woven rayon falls from an elastic, off-the-shoulder neckline to cover short sleeves for a comfotable feel. 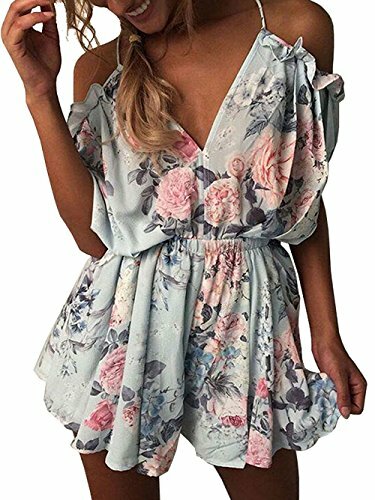 Lovely blue, red, pink, and ivory floral print travels down the shift silhouette.